The Academy of Oncology Nurse & Patient Navigators (AONN+) is excited to announce the establishment of collaborative partnerships with Oncology Solutions, LLC, and the American Cancer Society to execute a national multisite navigation metrics quality study. The aim of this quality study is to gain insight and understanding into the barriers and challenges navigation programs encounter during the implementation of navigation metrics. Another emphasis of the study is to evaluate the validity and readability of the 10 selected navigation metrics. It is crucial for navigation to continue to build a strong sustainable business case through the collection, measurement, and reporting of newly established standardized metrics. By harnessing this powerful information, we will create best practices to elevate navigation services and garner industry support for advancing patient-centered care delivery. 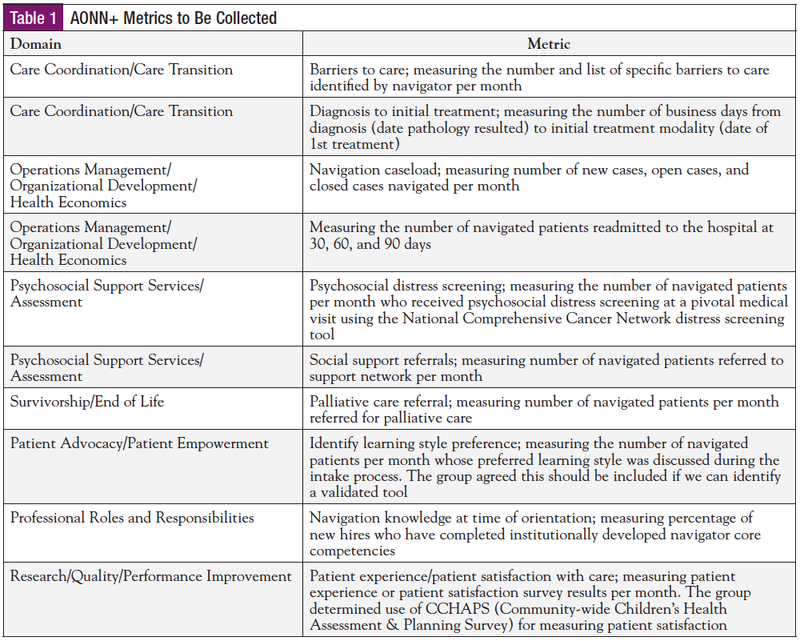 Table 1 lists the 10 AONN+ Standardized Evidence-Based Metrics to be collected during the study. 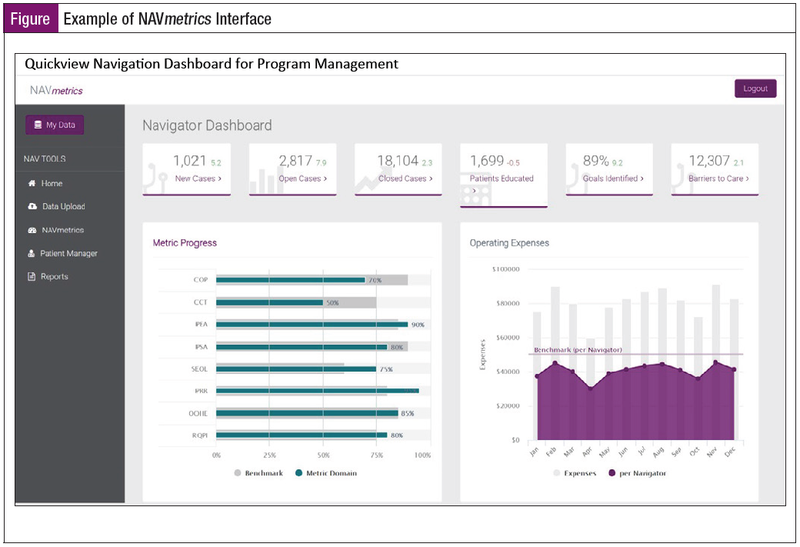 The data end points will be populated within a newly created NAVmetrics cloud-based IT platform powered by Oncology Solutions’ ONC iQ business intelligence tool (Figure). The study will open in March 2018 for National Cancer Institute (NCI), academic medical center, and community institutional providers or medical oncology physician practices participating in the Centers for Medicare & Medicaid Oncology Care Model (OCM) to submit a Letter of Intent (LOI). The LOI serves as an initial screening to evaluate if interested institutions and practices meet the inclusion criteria (Table 2). Submission of an LOI is required to receive an invitation to complete a formal application. If the study sites meet inclusion criteria they will be asked to complete an application. All applicants will be notified of study site selection no later than April 15. We are recruiting for 2 designated NCI or academic medical center providers, 2 Commission on Cancer–accredited community-based cancer programs, 2 medical oncology physician practices participating in the OCM, and 2 maturing cancer programs that currently have no metrics or reports in place. Please visit the AONN+ website for additional details and upcoming link to LOI submissions: https://aonnonline.org/pilot-study.